According to the company, Über Flavour’s beverages respect the Japanese art of tea making, in quality and brewing traditions – cooling its infusions with no added sugars, preservatives or chemicals. 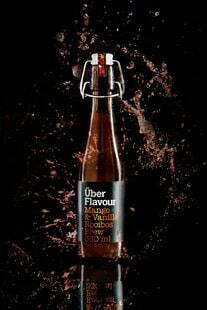 “Über Flavour Brews are high in antioxidants and are available in three variants honey and lemon, apple and cinnamon, as well as mango and vanilla. The commitment to natural ingredients was what fired up our passion for brewing up our own beverage,” says founder, Paul Simon. Über Flavour can be used as healthy mixers for cocktails apart from being a healthier alternative beverage. The brews will be available exclusively in select stores in Cape Town from November 2014. RSP is R24, 99 per bottle.